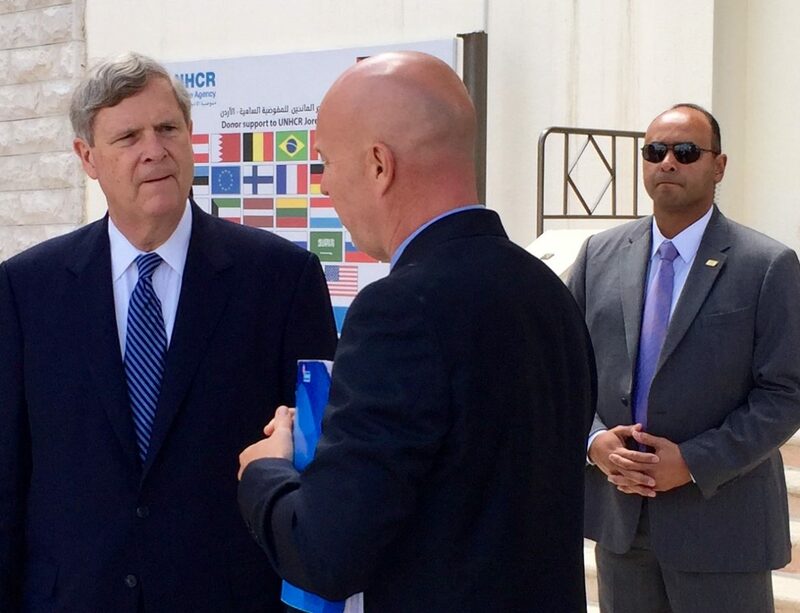 Former U.S. Secretary of Agriculture Tom Vilsack receives a briefing on the Syrian refugee crisis from United Nations High Commissioner on Refugees (UNHCR) Andrew Harper in Amman, Jordan, on May 10, 2015. The December 1986 murder of Mount Pleasant’s mayor at a City Council meeting taught his successor, former Iowa Secretary of Agriculture and former Iowa Gov. 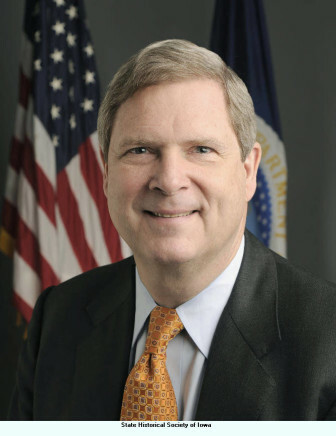 Tom Vilsack, the value of faith and confidence to confront challenges, Vilsack said in a new IowaWatch Connection radio interview. A disgruntled resident shot and killed Edward King and wounded two City Council members, shouting obscenities about a dispute the resident had with the city. Vilsack established “mayor’s hours” after King’s death in the city’s public library after a failed attempt at City Hall — people were reticent to go to where the murder happened, Vilsack said — to talk with people about municipal concerns in Mount Pleasant. The shooter, Ralph Davis, was convicted of first-degree murder and served a mandatory life term in prison until dying there in 1999. Vilsack eventually won an Iowa Senate seat and then served as governor for eight years. He was the nation’s agriculture secretary under President Barack Obama from January 2009 until mid-January 2017. Former Iowa Gov. Robert Ray died July 8 at the age of 89. Ray, a Republican, was respected by people in his party and Democrats because of his bipartisan approach to governing.